Pokémon GO has earned more than $440 million since launching in July, and even though its numbers have levelled out recently, it remains one of the hottest mobile apps on the market. The question is, does Niantic have the bandwidth to start laying down groundwork for games that aren't Pokémon GO? Nobody begrudges the company for branching out a bit and crafting new titles that aren't Pokémon-related, but Niantic gives off the impression of a company that's stretched to the limit, labor-wise. It's a small team, and even though it's clearly making a hiring push, it's unclear how many – if any – new employees have been brought on board since it started its job rush. There's still a ton of work to be done on Pokémon GO: Trading, the addition of new Pokémon, the implementation of a more complicated battle system, and endless bug fixes. It'd be a huge shame if the game sloughed off more players because of monotony and stability issues that weren't addressed quickly enough. These coming months are crucial for the fate of Pokémon GO, and by extension, for Niantic. 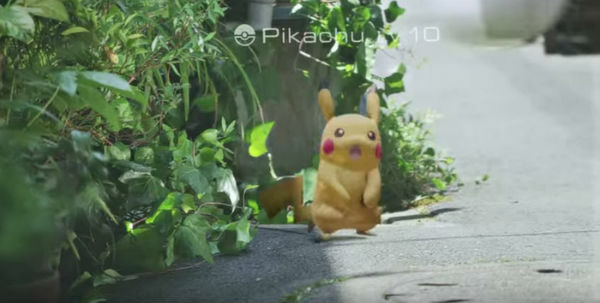 If Niantic does indeed launch a new game while Pokémon GO is still hurting for attention, reception towards the new game might not be friendly.